Ever since I got on Pinterest, I’ve been wanting to cook something from there. I looked for the easiest recipe I could find so that I could make it without my husband’s help. When I get home from work, I want to eat RIGHT then. It doesn’t matter if it’s 3:00 or 5:00. I’m starved. So, a crockpot recipe seemed like the way to go so I could make enough to eat for the week. 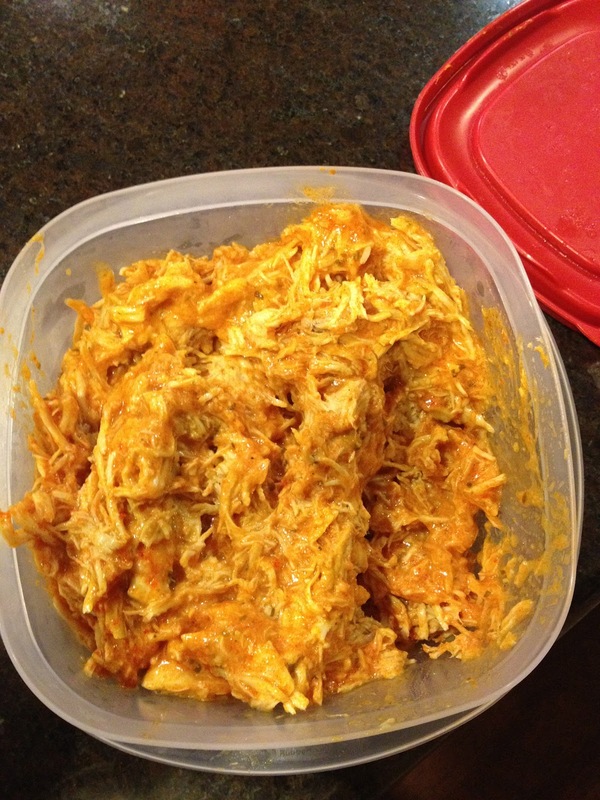 Buffalo chicken is seriously the easiest thing to make. You don’t even have to thaw out the chicken. You just put all the ingredients in the crockpot and leave it alone for 6 – 7 hours!! 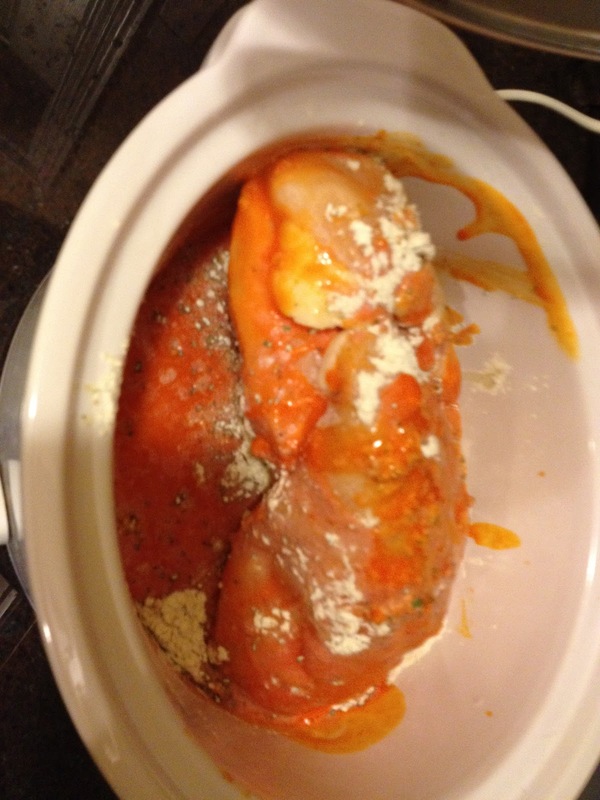 Put frozen chicken, wing sauce, and ranch dip mix into crock pot. Using two forks, shred chicken & return to crock pot. It’s not really the prettiest thing ever, but it’s really good. It’s got a little kick to it. You can eat it as a sandwich, a taco, over chips, etc. Try it out! It’s easy and delicious! !